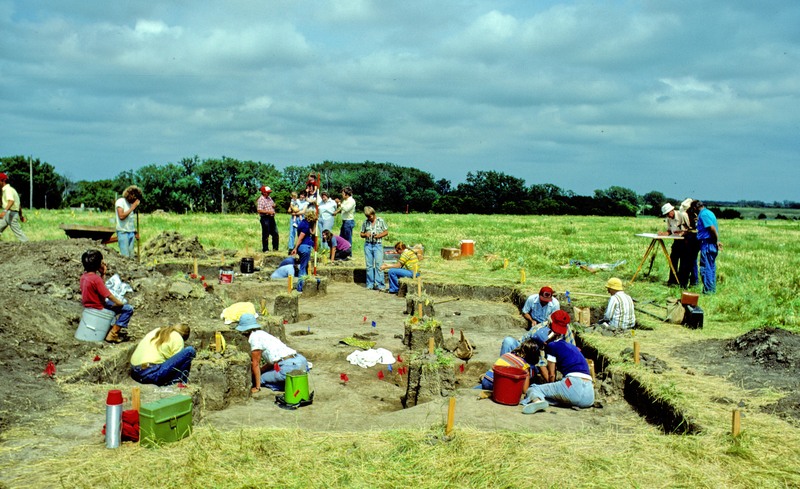 The Kansas Historical Society and the Kansas Anthropological Association will hold the annual Kansas Archeology Training Program (KATP) field school at the Tobias site near Lyons in Rice County June 1-16, 2019. The site dates between AD 1400 to 1700 and was inhabited by the ancestors of the modern-day Wichita and Affiliated Tribes. Tobias was likely a part of the region of Quivira seen by Coronado in 1541. 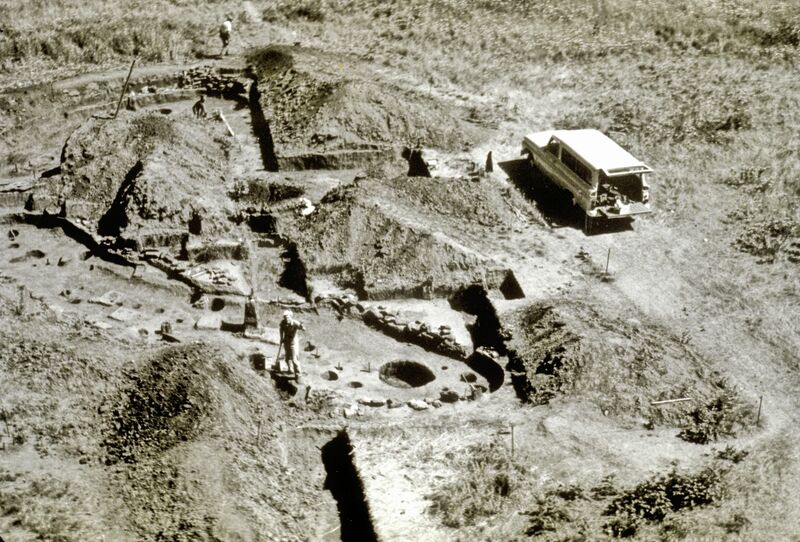 Portions of the Tobias site previously were excavated by the Smithsonian Institution in the mid-1900s and during the 1977 and 1978 KATP field schools. The 2019 field school will be an opportunity to further explore the Tobias site using current technology and methods. How was day-to-day life structured at 14RC8 and how was the community organized? What was the subsistence strategy for inhabitants of 14RC8? What types of animals and plants were they exploiting regularly? What exotics/trade goods are there at the site and are they concentrated in any specific location? How is the Little River focus of the Great Bend aspect organized? Are the geographic divisions between recorded site boundaries accurate or are several recorded sites in fact evidence of larger or continuous settlements in some cases? 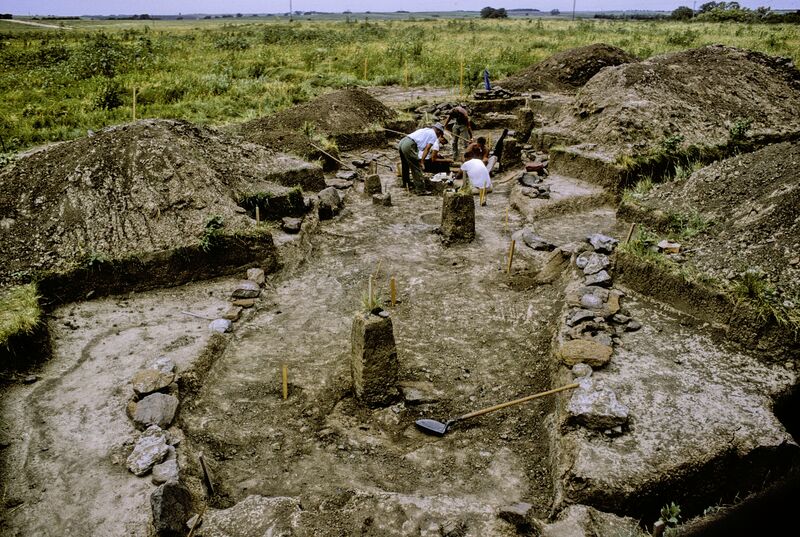 Does evidence recovered at 14RC8 help us better understand the origins of the Great Bend aspect? The annual KATP field school is an opportunity for the public to work alongside professional and avocational archeologists in finding and excavating archeological sites and processing the resulting artifacts in the lab. No experience is necessary—just a desire to learn. Volunteers can attend for a few days or the entire 16 days of the field school. Participants must be at least 12 years old and children aged 12-17 must be accompanied by a parent or responsible adult. Classroom courses on archeology are also offered and can be taken for college credit through Emporia State University for an additional fee. Artifacts found at the site will be processed in a laboratory located at Lyons High School, 601 E American Rd, Lyons, KS 67554. The registration fee for members of the Kansas Historical Society and the Kansas Anthropological Association is $35 for standard participants, $25 for participants 65 or older, $15 for all students currently enrolled at a middle school, high school, or college. For students enrolled for college credit through Emporia State University there is no fee. The nonmember fee is $90. Fees will be refunded only if a cancellation request is postmarked by May 15. Registration will be available online through the link below from March 1, to May 25, 2019. Registration is limited based on activity on a day-by-day basis. A full schedule of evening programs will be held in Lyons and vicinity; admission to the programs is free and open to the public. For more information contact KSHS Archeologist Nikki Klarmann, kshs.archeologyoutreach@ks.gov; 785-272-8681, ext. 266.